Forging elite fitness and a strong community. We’re more than just a gym, we’re a tight-knit, family-like community. We strive to create an environment where anyone can walk through our doors and feel welcomed from that second onward. We pursue world-class coaching and an environment where you can progress safely and efficiently toward your fitness goals. Beyond that, we want you to have a blast doing it. Our classes are designed for any body, any age, and any level. 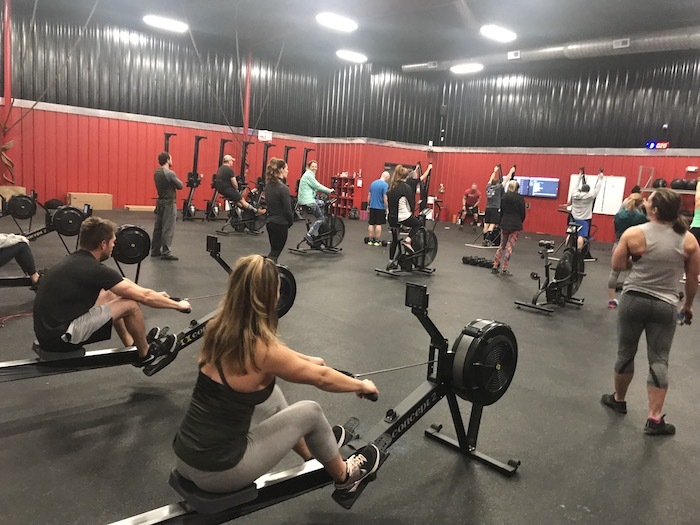 We offer traditional CrossFit classes, Mobility and Weightlifting classes, Kids and Teens Fitness classes and even private training or open gym times for those looking to take their fitness to the next level. First-time visitors are invited to try a free class at CrossFit DHF. Come sweat with us! Our CrossFit classes are designed for all levels and abilities. Our workouts are results-based and are varied every day. We offer high-energy and motivating workouts for all levels of Adults. Our qualified and certified coaches assist with form, technique and scaling to ensure each athlete maximizes their effort in class. New to CrossFit DHF? Come experience our community for yourself and get your first class free! 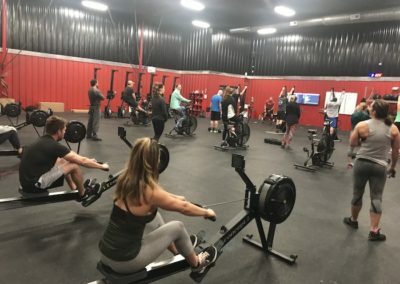 We also offer CrossFit Kids, and CrossFit Teens classes to help them learn proper form and techniques in lifting and exercising correctly and safely. These classes can be scaled for beginner, intermediate and advanced athletes. Also if you looking to take your game to a new level check out our Sports Performance program. The best thing I have done for myself! CrossFit is the most fun I have ever had and highly addictive. I work out up to 5 days a week and look forward to each day.At 60 years old now, my mobility, strength, and weight have all improved… And last but not least, I have made good friends & accountability partners! Highly recommend DHF to anyone in the area! From a professional standpoint as a Physical Therapist, CrossFit DHF programming does an oustanding job or building functional strength in a safe and effective manner. With the coaching expertise and constantly varied workouts, every member is capable of reaching their fitness goals. Great trainers and it is fun! I love the sense of community and the friendships being developed. Check it out if you want to get in shape or stay in shape!! And supportive group of Athletes I’ve ever worked with. All fitness levels and ages can expect to not only grow a ton here, but a have an awesome time doing it. Come try your first class FREE on us! Fill out the form so we can get you set up with a free CrossFit class! *All programs offer a free initial first class.